Don't get me wrong. 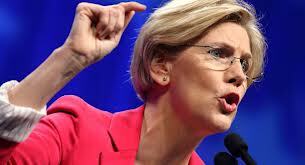 Senator Elizabeth Warren has been a faithful and sincere advocate for indebted college students. Likewise, the New York Time has repeatedly editorialized against abuses in the student loan program, and its reporters have done a great job documenting some of those abuses. Just a little case of the sniffles? But for Senator Warren and the New York Times to state that the federal government is making a profit on the federal student loan program shows how ignorant they are about the true state of that program. And the New York Times is also under the mistaken impression that the government is turning a profit on student loans. In an editorial entitled "The Student Loan Debacle," the Times cited a report from the Congressional Budget Office that concluded the government will make $184 billion on loans issued over the next ten years if it continues charging the current student-loan interest rate. Of course, the CBO report is a complete fantasy. You can go on the web and read many excellent critiques of the CBO's accounting practices with regard to that report. But you don't have to do that to know that all the talk about the government making a profit on student loans--obscene or otherwise--is pure baloney. Let's look at some simple facts. 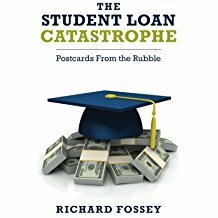 Less than two weeks ago, the Ombudsman for the Consumer Financial Protection Bureau--a federal agency--said that total outstanding student-loan indebtedness had grown 20 percent in just 18 months! The Ombudsman estimates the total student loan debt at 1.01 trillion. We know that the amount of money students borrow from the federal student loan program has gone up every year for a long time now, and that the average amount students borrow has gone up as well. Do you see any profit for the government in any of this? Of course not.If Senator Warren and the New York Times really believe the federal government is making a profit from the program, then they've failed to grasp the fact that the government is losing billions of dollars due to student-loan defaults. The current Congressional debate about the proper interest rate for student loans is a side show. Obviously, it would be a good thing for students if interest rates are kept low. But keeping interest rates low for future students does nothing for the millions of people who have already defaulted on their student loans. Frankly, it disturbs me to hear Senator Warren demonstrate such a shocking lack of understanding about the federal student loan crisis. Or perhaps she understands the crisis but is afraid to speak out more forthrightly because a big part of her constituency base is in Boston, with its large number of colleges and universities. Many of those colleges could not survive without the federal student loan program. But Senator Warren came to the U.S. Senate with a reputation for being a courageous and vigorous advocate for the poor and middle class families. If she wants to keep that reputation, she needs to push legislation far more radical than simply keeping interest rates low for student loans. Senator Warren should support passage of a law that will allow insolvent student-loan debtors to discharge their student loans in bankruptcy. She needs to push for repeal of the 2005 law that makes it almost impossible for people to discharge student loans from private lenders like Wells Fargo and Bank of America. Senator Warren should propose legislation to protect elderly insolvent student-loan debtors from having their Social Security checks garnished. Finally, she needs to introduce legislation that will give student-loan debtors the right to sue colleges that have engaged in misrepresentation and fraud regarding their student aid practices. Advocating for lower student-loan interest rates is simply tinkering around the edge of the student loan crisis. We must remember that the student loan program is not a healthy entity with a little case of the sniffles. It is a cancer that is destroying the lives of millions of Americans. Editorial. The Student Loan Debacle. New York Times, July 24, 2013, pa. A22. I recall seeing a cartoon awhile back showing the puppet Ernie from Sesame Street at the doctor's office. Ernie and his doctor were viewing Ernie's x-ray, which showed a giant hand in Ernie's torso. 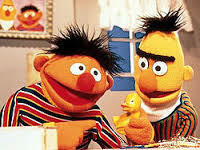 "This explains so much," Ernie exclaimed. Yes, and the National Journal's recent report showing where Obama administration officials went to college also explains a lot. Among 250 prominent officials in the Obama administration, more received a graduate degree from Oxford University (the one in England) than any American public university. More Obama officials got their undergraduate degrees from Harvard than any other university. Forty percent of the 250 Obama administrators got undergraduate degrees from Ivy League schools. And if you added the one ones who went to other elite schools--Georgetown, University of Chicago, Williams, etc--I am sure we would find that more than half of them went to exclusive private colleges. In my opinion, this is a bad thing and goes a long way toward explaining why the country is going to hell in a hand basket. There is a common myth that people who graduate from elite colleges received an exceptional education and acquired skills and values that will make them valuable citizens. But I don't think that's true. 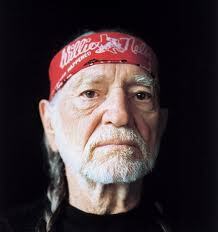 In fact,many of them acquire traits and outlooks that contribute to the degradation of American culture. Postmodernism. Most of the people who are schooled at our elite institutions are thoroughly indoctrinated into the culture of postmodernism. And what are the characteristics of postmodernism? Secularism (atheism); individualism (selfishness); and relativism, the cynical worldview that there are no ultimate truths. Without a moral compass to guide their lives, our postmodern elitists gravitate toward an obsessive drive for recognition, power, and gratification, which is portrayed so powerfully in the recent movie, The Ides of March. In the beginning of the movie, the main character, played by Ryan Gosling, is a political idealist, but by the end he is a cynical, power-driven schemer, just like all the other political figures in the movie. Provincialism. I received a doctorate from Harvard Graduate School of Education, which admittedly is the least prestigious school at Harvard; and so I won't say my experience was typical. Nevertheless, I was astonished by the provincialism of the people I met while I was at HGSE. Most of them had only a hazy idea about United States history or geography. I think I could have given them a child's puzzle map of the United States and most of them would not have been able to put the states in their proper places. We see this elite regionalism displayed when we look at where Obama's top advisers grew up. According to the National Journal report, half of the top people on Obama's second-administration team grew up in the Northeast corridor (including Maryland and Virginia) or oversees. Only 12 percent of his top people are from the South. Racism and Bigotry. I also encountered a lot of racism and bigotry during the years I was at Harvard. Not the hard kind of bigotry that is stereotypically displayed in movies about the South, but a soft kind. People in my classes would make offhand remarks about the insensitivity of white males--the same people who would be sure to use the term "mentally challenged" instead of "retarded" when talking about people of limited intelligence. And the obsession with affirmative action that infests our elite colleges is often nothing more than a thinly disguised contempt for working class white people. It would be one thing if affirmative action benefited a poor white kid who grew up in the Delta country of Arkansas without regard to race , but so often the beneficiary of affirmative action is a minority person who attended an elite private high school. And bigotry toward Catholicism at our elite colleges? Hey, let's not go there. I've talked about that already. It would be OK if Obama's top advisers all came from Harvard or some other elite school if these people were smarter than the rest of us. But they are not. Indeed, if Obama's advisers are so smart, what are we doing in Afghanistan? If Obama's people are such great problem solvers, why haven't we taken one sensible step to solve the student-loan crisis or at least reduce the suffering of people who are overburdened by their college loans? Many of the graduates of our elite institutions believe they have a keen sense of social justice and are particularly sensitive to human rights issues. But I don't think that is true either. If these people have such a good sense of social justice, why is our economic system rigged such that pensioners and people on fixed incomes are forced put their retirement funds in the risky stock market to get a decent return because the Fed keeps interest rates artificially low to benefit the banks? And if Obama's people have such a keen pining for human rights, why won't Obama and his people allow Italy to extradite Robert Lady, the CIA operative who was convicted of involvement in a kidnapping in Milan? How can the Obama administration howl for the rule of law when it comes to Edward Snowden while helping Robert Lady avoid the justice that was meted out for him in Italy. No this country would be better off if we declared a moratorium on Ivy League graduates serving in any public office at the national level--and that includes the Supreme Court, which is stuffed with nine old fogies who all graduated from either Harvard Law School or Yale Law School. I am only kidding of course. We can't ban people from public office just because they went to Harvard. My point, however is this: Our elite colleges are not preparing people to be good public servants. We need to put people in positions of authority who are truly civic minded, and many of the leaders we need received their education at good public universities, including the universities of the Midwest, the Rocky Mountain West, and the South. Since 9/11, nothing has shocked me more than the recent news that militant Islamists attacked a boarding school in Nigeria, killing about 30 children. Most were burned alive when the attackers doused the children's residence hall with gasoline and set it afire. A few children were shot to death trying to escape--which was a mercy, I suppose. And why were these children killed? Because they attended a Western school. When President Bush sent troops into Iraq, I remember thinking that he surely knew best. When President Obama doubled down in Afghanistan and sent 30,000 additional troops to the fight, I had my qualms; but again I figured his military people must know what they are doing. And if President Obama--a Nobel Peace Prize winner, wanted to widen the war in Afghanistan, well then, that must be the right thing to do. But lately I've decided to do my own thinking, and I urge others to do the same. Surely even a child can see that a dozen years of warfare in Afghanistan--years during which we bribed the Pakistanis to allow us to pack supplies over the Khyber Pass and sent packets of cash to the Karzai regime--has accomplished nothing. The British and the Russians mucked around Afghanistan to their sorrow, and we too now know we made a mistake. We just don't have the courage to admit it. Even a small-town college professor like me can see that the United States has sent men and women to die in the Middle East in support of various regimes that don't like us, don't respect us, and share none of our values. We've squandered our national wealth, our national power, and our role as a world leader by launching these disastrous military adventures in Iraq and Afghanistan. Meanwhile Militant Islam is making great strides in Africa. Last May, terrorists threw a bomb into a crowd of worshippers at St. Joseph Mfanyakazi Catholic Church in the Tanzanian town of Arusha, killing two people. Tanzania is about evenly split between Christians and Muslims, and the two groups have lived together peacefully for many years. This incident of sectarian violence is deeply worrying. ﻿And let's take a look at Mali. Although Mali is about 90 percent Muslim and only about 10 percent Christian, the two religious communities have lived together in relative harmony. But that was before militant Islamists showed up and established a rump state, which they called Asawad. They imposed a harsh regime over the areas of Mali they controlled, even executing people The French did the right thing when they drove Islamic adventurers out of northern Mali earlier this year. I am not a military person. Frankly, I don't know any more than the New York Times does about military strategy. But I am an educator, and I've spent some time observing African higher education, which has a very weak infrastructure. The United States has excessive resources in the higher education realm. We've got more colleges and universities than we know what to do with. We should put some of them to work in Africa. For several years, our elite institutions have been establishing branches in the Middle East. New York University is in Abu Dhabi. Carnegie Mellon University, Virginia Commonwealth University, and Texas A &amp; M are in Qatar. George Mason University was in Ras al Khaymah for a time. I was briefly heartened by recent Reuters news story reporting that America's wealthiest universities have taken an interest in Africa. Before I read the article, I assumed that interest meant an educational interest. But no, university endowment funds want to invest in Africa because they think they can make money. William McLean, who manages Northwestern University's huge endowment, put it this way in an interview with Reuters: "Our motivations are making some money." of Africa by partnering with African universities to help them develop their infrastructures? After all, the African universities are struggling, and they could use some help from their American counterparts. Which ones should we help? I can only comment on East Africa, but in the nations of Kenya, Tanzania and Kenya, the best and most respected universities are the ones begun by Christan denominations--particularly those founded by the Catholic Church. In general, the Christian universities in East Africa are more disciplined, more civic minded and less corrupt than the public institutions. 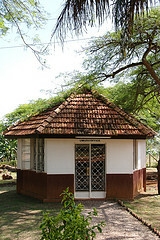 Uganda Martyrs University, for example, is highly regarded as the most rigorous university in Uganda; and St. Augustine University in Mwanza, Tanzania is likewise well respected. Strengthening Christian universities in Africa will strengthen African Christianity, which must be supported and maintained to preserve peace and stability in that part of the world A radical element is loose in Africa that is willing to burn children alive just for going to school. If American universities don't care about that, what do they care about? Adamu Adamu, Michelle Faul. 29 boarding school students burned alive, shot dead by Islamists militants in Nigeria. NBCNews.com. July 6, 2013. Jon Lee Anderson. Letter from Timbuktu: State of Terror. New Yorker, July 1, 2013, pp. 37-47. 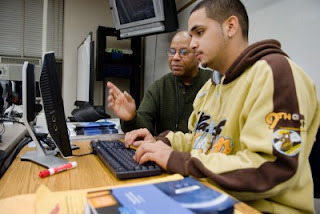 Yuba Community College Drops Out of Federal Student Loan Program: What a Great Idea! According to a recent article in the Sacramento Bee, Yuba Community College District (YCCD) is dropping out of the federal student loan program due to its high student-loan default rate. YCCD officials project the college will have a student loan default rate in the neighborhood of 31 percent. Under new DOE guidelines, a college that posts a student loan default rate of 30 percent or Pell Grants. Thus, if YCCD stays in the federal student loan program, it risks losing access to all federal student aid programs. Since only 275 of the Yuba Community College District's 15,000 students took out student loans last year, dropping out of the federal student loan program will effect very few of its students. And YCCD students can still receive Pell Grants and participate in the federally subsidized student work program even if the federal student loan program is suspended. This is an important story because it shows that the vast majority of students who attend some community colleges don't take out student loans. In fact, Yuba Community College District will join 17 other California community colleges that don't participate in the federal student loan program, and apparently have no trouble attracting students. Congress should encourage all community colleges to drop out of the federal student loan program. Community colleges all over the United States should become "No Student Loans" zones where students can get college credit for a reasonable price without taking out student loans. Community colleges would get modest financial incentives for dropping out of the student-loan program altogether. They would still be eligible to participate in the Pell Grant program and the federal student-work program. In addition, in order to receive the federal financial incentive, community colleges would be required to bar students from taking out private loans to attend college. All four-year colleges that participate in the federal student-loan program would be required to have articulation agreements with community colleges that become "No Student Loan" zones. Under these articulation agreements, four-year colleges would agree to accept community-college course credits earned by their transfer students. If such a law were passed, no one attending a community college in a "No Student Loan" zone would accumulate any student loan debt. Apparently, a lot of community college students have already figured out that they can take classes at a community college and can get at least an associate's degree without borrowing money. That's the only explanation for the fact that only 275 out of YCCD's 15,000 students took out loans. Yuba Community College District made a good decision when it dropped out of the federal student loan program. If Congress would pass a simple law encouraging other community colleges to make the same decision, it would take a big step toward reducing student loan indebtedness and student-loan defaults. Loretta Kalb. Yuba Community College District suspends federal student loan program. Sacramento Bee, July 15, 2013.
not raise their tuition and fees every year were it not for the fact that student can absorb these increased costs simply by borrowing more money. Does participation in the Federal Student Loan Program impose a moral obligation on universities to prudently manage their affairs? In particular, are they obligated to put some limits on their executive compensation packages and to disclose the terms of those packages to the public? Apparently not. Some universities--both public and private--pay their presidents and senior executives obscene salaries and lavish benefits like bonuses, travel and entertainment allowances, and luxury housing. And they don't want the public to know about it. Here are a couple of examples. Recently, the press reported that John Sexton, president of New York University, receives a salary of $1.5 million, and NYU gave him a loan on favorable terms to purchase a second home. When he retires, Sexton's pension will be $800,000, and he will get a "length of service" bonus of $2.5 million if he stays on the job until 2015. And Jacob Lew, our new Secretary of the Treasury, received a $685,000 parting bonus when he stepped down as Executive Vice President of NYU to take the Treasury post. That's right. 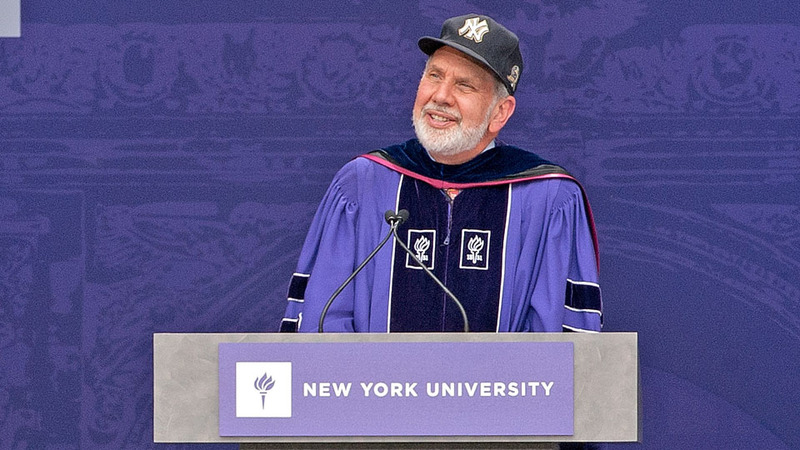 In addition to a generous salary and other perks, NYU gave Lew two-thirds of a million dollars as a going away present. Senator Charles Grassley decided to look into NYU's executive compensation practices to see if they were in keeping with the university's tax status as a non-profit organization. Did NYU cooperate with Senator Grassley's investigation? documents but would not allow them to be copied. On the date of the NY Times story, Senator Grassley still had not received all the information he asked for. Would you like another example? 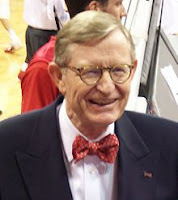 In 2012, Gorden Gee was the highest paid president of a public university in the United States. In the fiscal year ending 2012, Gee made $1.9 million, including base salary, bonus, deferred compensation, and supplemental retirement contributions. In addition, he lived in a 9,6000 square foot mansion stocked with antiques, art work, and Persian rugs. And according to Dayton Daily News, Gee spent an average of $23,000 a month on entertainment. A guy pulling down that kind of money obviously has tax issues--big tax issues. Not to worry. Under his university contract, OSU provides Gee with up to $20,000 a year in tax preparation and financial planning services! Did OSU make the terms of President Gee's entire compensation package available to the public? No, it did not. The Dayton Daily News pried the information out of OSU through an open records request. And it took OSU eleven months to turn over all the documents the newspaper requested. This, then, is the status of higher education in the current age. College costs go up every year and students have to borrow more and more money to pay for it. Many can't find decent jobs when they graduate and many default on their loans. How many? We don't know because the Department of Education won't tell us. Meanwhile, our universities pay avaricious oligarchs like OSU's Gorden Gee and NYU's John Sexton ridiculous amounts of money. Does anyone believe our universities need to pay their leaders unseemly amounts of money and provide them with regal benefits in order to get good leaders? I certainly do not. In fact, the emergence of the imperial university president is a core reason our public universities are in the mess they are in. We've appointed people to run our colleges who want to become wealthy, and indeed some of them have become wealthy. We should have university presidents who see themselves as first among equals in a community of scholars--people who will turn all their energies into making sure students get an education that will fit them for a 21st century economy and who will work night and day to keep tuition costs down. We need federal legislation to regulate all the colleges and universities that receive federal loans. First, all institutions that participate in the student loan program should be required to post their senior executives' compensation on their web sites--with a direct link from the university's home page. And by compensation, I mean ALL executive compensation: salary, bonuses, enhanced retirement benefits, housing, travel and entertainment allowances, financial services, speaking fees, etc. And senior executives should be required to report compensation they get from any source, including nonprofit foundations. And we also need federal legislation to require all universities that participate in the federal student loan program to cap salaries and compensation for their senior executives at some reasonable level--say $300,000. If Ohio State University and New York University want to pay their presidents outrageous salaries, they are free to do so. But they should be kicked out of the federal student loan program until such time as they bring their executive compensation packages down to some level of decency. points out that the U.S. Department of Education only measures default rates over the first three years of the loan-repayment period and does not break down data by various sub-populations. I have a couple of comments about the Education Sector report. First, it is very late in the day to call attention to the fact that DOE's reports on student-loan defaults are woefully inadequate. I called attention to that problem more than 15 years ago in an edited book on student loans. Nevertheless, I am glad Mr. Gillen highlighted this problem again. Second, Mr. Gillen's report, although useful and professionally prepared, understates the deficiencies in DOE reports on student loan defaults. In my opinion, DOE's reports are so inadequate as to border on fraudulent misrepresentation. [DOE] considers a loan to be in default if the borrower is more than 270 days behind on payments. The default rate is the percentage of a school's borrowers who enter repayment during a fiscal year and default within three years. . . Only subsidized and unsubsidized Stafford loans are included in the default rate calculation. The default rate calculation ignores Parent Plus, Grad Plus, and Perkins Loans. So--first off, a borrower must be delinquent on a student loan for nine months to even be counted as a defaulter. In reality, DOE is only measuring defaulters during the first two years and 3 months of the repayment period, not three years, since anyone who defaults within 270 days of the end of the measuring period is not counted as a defaulter. Second, and more importantly, DOE's default rate does not include people who received economic hardship deferments during the measurement period--people who are exempted from making their loan payments due to dire economic circumstances like unemployment. We know some for-profit institutions encourage their students to obtain economic hardship deferments as a way of keeping institutional default rates down. DOE does not report on how many people are receiving economic hardship deferments, how long those deferments typically last, or how many people who get a deferment ever begin making their loan payments. And that is no small matter. I have written about the Hedlund bankruptcy case, in which a man received a series of economic hardship deferments on his student loans over a period of many years and was never in default. About 20 years after taking out his loans, he filed for bankruptcy. Although he had been excused from making payments by his economic hardship deferments, his loan size had nearly doubled due the fact that interest had accrued over the years. The Hedlund case is an indication that there may be a lot of people who are on long-term economic hardship deferments who are not making loan payments and whose total indebtedness is growing. Without knowing that number, we really can't say what the true student-loan default rate is. DOE's anemic student-loan default rate also does not include people who are making monthly payments under income-based repayment plans. About 1.2 million people are making student-loan payments under IBR plans, and many are making payments that aren't large enough to pay down the balance of their debt. In fact, some are seeing the amount of their debt grow because their payments don't cover accruing interest on their loans. In my opinion, people who have economic hardship deferments that last more than three years and people in IBR plans whose loan payments are so small that their debt is actually growing are in default. Not technically, of course--but the reality is that many of these people--probably most of them--will never pay back their student loans. So what's the true student-loan default rate? DOE says it is 13 percent over the first three years of the loan repayment period. But measured over the life time of the loan repayment period, it is much higher. It's probably at least 35 percent, maybe higher. I've used this tired old metaphor before, but forgive me for repeating it. Education policy makers are not dealing with the enormity of the student loan crisis; they are rearraning the deck chairs on the Titanic. Not long ago, the Bill and Melinda Gates Foundation awarded grants to 16 higher education policy groups, which were charged with making recommendations for improving the student-loan program. Entitled Reimagining Aid Design and Deliver (RADD), the project elicited 16 reports and a wide variety of recommendations. I did not read all 16 reports word for word, but I did read the executive summaries. I don't think any of the 16 reports mentioned the fact that DOE's student-loan default rate masks the reality of how many former students have defaulted on their loans. In my opinion, most of the higher education advocacy groups, think tanks and professional organizations--organizations like the American Council on Education, the National Association of Student Financial Aid Administrators, and the Association of Public and Land-Grant Universities---are pretending that the status quo for the federal student loan program is both acceptable and sustainable--we just need to tweak it a bit. Friends, the status quo of the student loan program is not acceptable and it's not sustainable. Student loan indebtedness totals $1 trillion; and it grows bigger every day. It's time to face the fact that this well-meaning program has ruined the lives of millions of college borrowers and that a big percentage of this trillion dollar debt is never going to be paid back. Richard Fossey (1998). The dizzying growth of the federal student loan program: When will vertigo set in? In R. Fossey & M. Bateman (Eds. 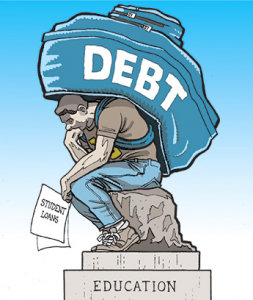 ), Condemning students to debt: College loans and public policy. New York: Teachers College Press. Richard Fossey & Mark Bateman, M. (Eds.) (1998). Condemning students to debt: College loans and public policy. New York: Teachers College Press. At this very moment, young people all over the world are emigrating from their home countries in search of a better life. Eastern Europeans, Asians, and Africans are particularly prone to emigrate. But the notion that young people in 21stcentury France should emigrate for economic reasons seems incredible. Indeed, according to Marquardt, he and two colleagues sparked a national uproar when they first proposed emigration for French young people in a newspaper article last year. How about young Americans? Should they consider leaving the United States to begin new lives in other countries? Yes, the time has come for the nation’s young people to seriously explore emigration--especially if they are burdened by crushing student-loan debt. Americans have amassed more than $1 trillion in student-loan indebtedness. Currently, more than 37 million people are burdened by student loans, including several hundred thousand elderly people. Nearly 6 million borrowers are behind on their loans or in default, and that doesn’t include people who received economic hardship deferments and are not making their loan payments. Thanks to congressional legislation and heartless bankruptcy courts, this debt is almost impossible to discharge in bankruptcy. And thanks to a Supreme Court decision, the government can garnish loan defaulters’ Social Security checks to collect unpaid student loans. Student-loan debt is not a big problem for people who hold good jobs and can comfortably make their loan payments. But young people are having a hard time finding good jobs. Sixteen percent of young people in the 18 to 29 age bracket are unemployed (Deruy, 2013), and that doesn’t include young people who are holding down low-wage jobs because they cannot find jobs suitable for their skills and training. About half of the nation’s college graduates hold jobs that do not require a college education and many of these graduates are working in low-paying jobs in the restaurant and service industry. Thus, for Americans who are burdened with massive student loans and declining economic opportunities, emigration to another country is a reasonable option. Marquardt suggested that nations with growing economies such as China, Brazil, Turkey, India and Indonesia might be good places to emigrate. President Obama knows that the federal student loan program is a huge problem for young Americans (and some not so young). In 2012, his administration introduced a modified IBR called a “Pay as You Earn” plan, which allows student-loan debtors to pay back their loans over a 20 year period based on a percentage of their income (U.S. Department of Education, 2012). At the end of the 20-year repayment period, any unpaid loan balance will be forgiven. There are lots of problems with IBR initiatives--including the Obama administration’s “Pay As You Earn” plan. First of all, under current IRS regulations, loan debt that is forgiven is counted as taxable income. Thus, theoretically, at least, some people who conscientiously make their monthly loan payments for 20 years based on their income could face a huge tax bill when the repayment period comes to an end. Second, an income-based repayment program removes a student’s incentive to avoid borrowing more money for college than is needed. Students who know their loan payments will be based on their income and not the amount they borrowed will have little reason to limit the total amount of their loans. Some of these problems can be addressed through legislation or modified program design. For example, the IRS can amend its regulations to eliminate the tax consequences of forgiven student loans; and an IRP program can surely be designed to keep students from borrowing extravagantly. In my mind, however, the chief evil of income-based repayment programs is that they require students to pay a portion of their income to student loan agencies for the majority of their working lives. In essence, an income-based repayment plan turns student-loan debtors into sharecroppers--people forced to fork over a portion of their income to the government for 20 years in return for the privilege of going to college. Indeed, IBRs are identical to the economic model of the sharecropper system that prevailed in the South during the early 20th century. 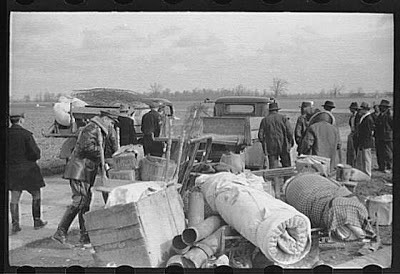 Sharecroppers paid a percentage of their crop to wealthy landowners in return for permission to work someone else’s land (Woodward, 1951). Eventually, the rural sharecropper system collapsed, and hundreds of thousands of Southern sharecroppers abandoned farming and immigrated to California during the 1930s. John Steinbeck memorialized this tragedy in his great novel, The Grapes of Wrath. One might think the American higher education community could come up with a more creative proposal for addressing the student-loan crisis than income-based repayment plans. Unfortunately, a number of higher education policy groups have endorsed IBRs. Recently, the Bill and Melinda Gates Foundation awarded more than $3 million to various higher education advocacy groups to make recommendations for improving our nation’s financial aid program for college students. Titled “Reimagining Aid Design and Delivery”(RADD), the project produced 16 reports from such groups as the National Association of Student Financial Aid Administrators (NASFAA), Education Trust, the Association of Public and Land Grant Universities, and the Institute for Higher Education Policy. Even more incredibly, eight of the reports--fully half--recommended that college students be automatically enrolled in income-based repayment plans when they take out student loans. That’s right--half of the organizations responding to the Bill and Melinda Gates Foundation’s RADD project recommended putting all student-loan participants in a giant sharecropper program. The specifics varied somewhat, but eight of the so-called RADD reports recommended some variation of an income-based repayment program as the default option for all student-loan debtors. All these proposals would require students who participate in the federal student loan program to make monthly payments based on a percentage of their income for a long period of time--at least 20 years. The cost of a college education goes ever upward. The cost of attending an elite private university--tuition, feels, and living expenses--is approaching a quarter million dollars. Higher education leaders may think we can continue on this catastrophic spiral by forcing students to borrow more and more money and pay it back over an expanding period of time. In essence, they think America’s young people will consent to be sharecroppers. I think they are wrong. Increasingly, we will see bright and talented young people forego expensive colleges altogether rather obligate themselves to 20-year repayment plans. I also think we will see some of the nation’s brightest young people immigrate to other countries where they perceive better economic opportunities than are available to them in the United States. Marquardt described France as a country run by a “decrepit, overcentralized gerontocracy.” I see the United States as a plutocracy--a nation governed by the wealthy for the benefit of the wealthy. Exhibit A, in my opinion, is America’s prestigious universities, with their overpaid executives and obscene tuition prices. They say they offer financial aid to deserving applicants who are poor--but their main goal is to preserve the status quo for the rich. Just as Europeans immigrated to the United States to escape plutocratic government, perpetual wars, military conscription, and lack of economic opportunities, American young people will soon be emigrating to other countries where they see brighter economic futures for themselves. And when that happens, America’s higher education community will bear a large part of the blame. Marquardt, Felix (2013, June 30). The Best Hope for France’s Young? Get Out. New York Times, Sunday Review Section, p. 4. Woodward, C. Vann. Origins of the New South: 1877-1913. Baton Rouge, LA: Louisiana State Univsersity Press, 1951.